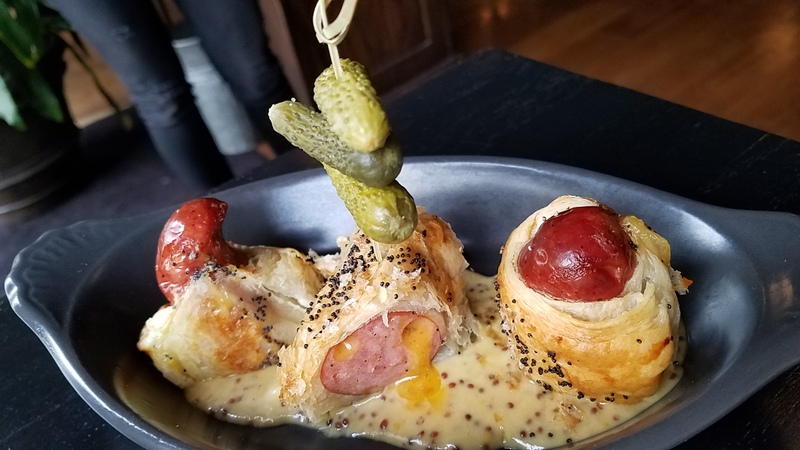 This edition of MRM’s Daily Bite has news from Dinova, Subway, Boston Market, Worldpay, Bad Daddy’s Burger Bar, Smart Foodservice Warehouse Stores, Flyt, Braun’s Tavern & Dining Room, The U.S. Roundtable for Sustainable Beef and Les Dames d’Escoffier. 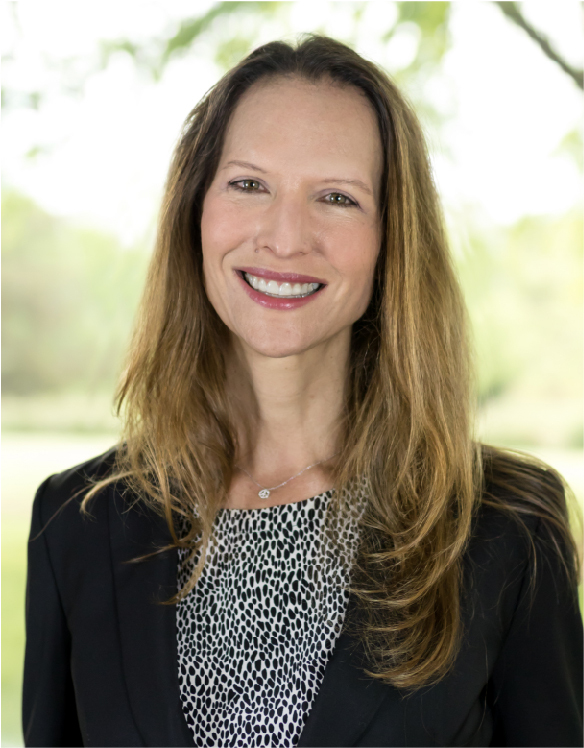 Dinova, Inc., a business dining marketplace, today announced the appointment of Alison Galik as President. In this role, Galik will be responsible for leading the day-to-day operations as well as executing the company’s strategic plan and future growth. Suzanne Greco, Chief Executive Officer (CEO) of Subway®, has informed the company’s shareholders of her intent to retire as CEO. Subway® has appointed Trevor Haynes, Chief Business Development Officer, as interim CEO, overseeing the day-to-day operations of the company, effective today. Mr. Haynes is a member of the Executive Leadership Team and joined Subway® in 2006. Greco and Haynes will work together to ensure a smooth transition until Greco officially retires on June 30, 2018, at which point she will serve as a Senior Advisor to the company. 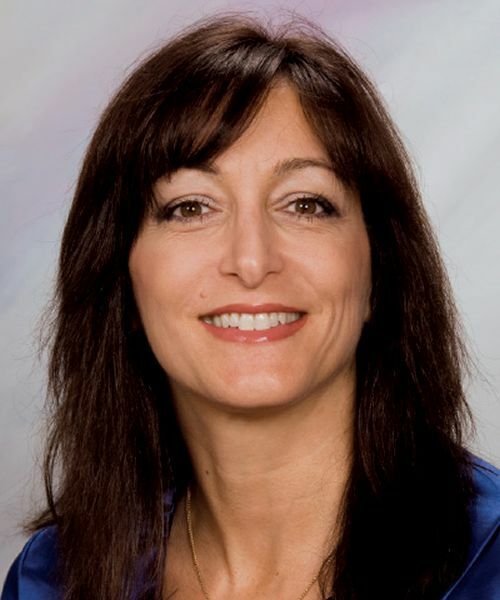 Greco, who has been CEO since 2015, joined the company in 1973 as a sandwich artist, although she has been an integral part of the company since the first store opened as a family business in 1965. Prior to her role as CEO, she was part of the Research & Development team for over two decades and was promoted to lead the group as VP of Operations and Research & Development in 2013. Haynes is an experienced leader with deep knowledge of the company and has held numerous leadership roles at Subway®. He is well equipped to serve as the interim CEO while the company launches its search for a permanent CEO. 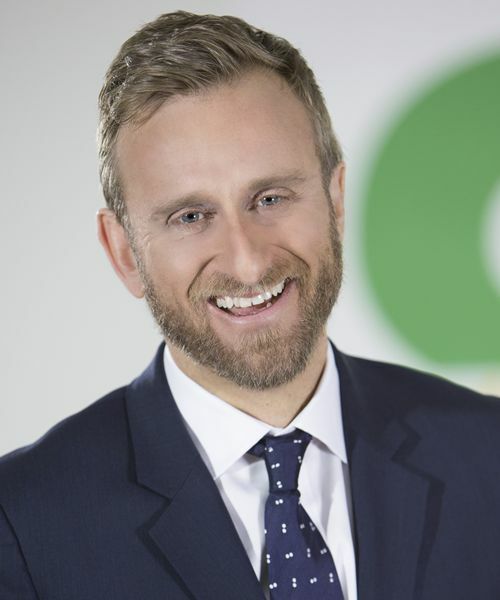 He joined Subway® in 2006 as Territory Manager in Australia, moved to the United Kingdom in 2009 to serve as the Senior Area Development Manager for the U.K. and Ireland and in 2014 joined the team in Milford, Connecticut, to serve as the Global Director of Operations. Haynes received his Master’s degree in International Management from Queensland University of Technology. Boston Market® announced that Frances Allen has been named as Chief Executive Officer effective immediately. Allen succeeds George Michel upon his retirement. With a proven track record of concept revitalization and growth in the restaurant industry, Allen joins Boston Market from Jack in the Box, where she has served as President since October 2014. Prior to Jack in the Box, Allen spent four years as Executive Vice President and Chief Marketing Officer of Denny’s, helping lead the successful Denny’s turnaround through the ‘America’s Diner’ repositioning. Prior to that she played a pivotal role elevating the Dunkin’ Donuts brand from a beloved regional to a national brand. 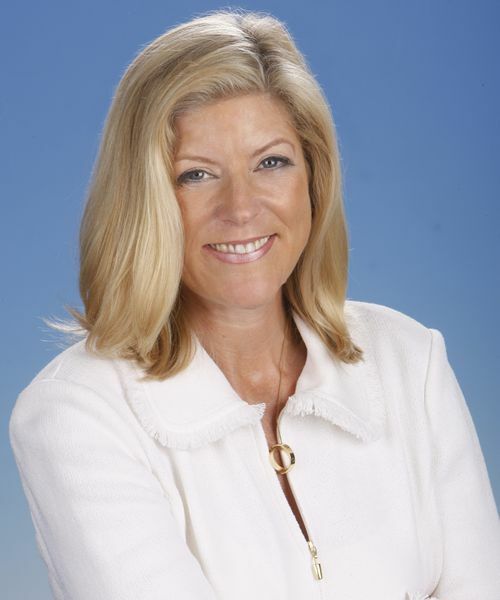 She has also held leadership roles with Sony Ericsson Mobile Communications, PepsiCo, and Frito-Lay. An English native, Allen grew up in the town of Basingstoke. She graduated from the University of Southampton in 1983, studying Math and Actuarial Sciences, and briefly served as an Officer in the Royal Army Corps, attending Officer Training at Sandhurst Military Academy. She started her career in Advertising in Londonbefore moving to Asia and then the USA. 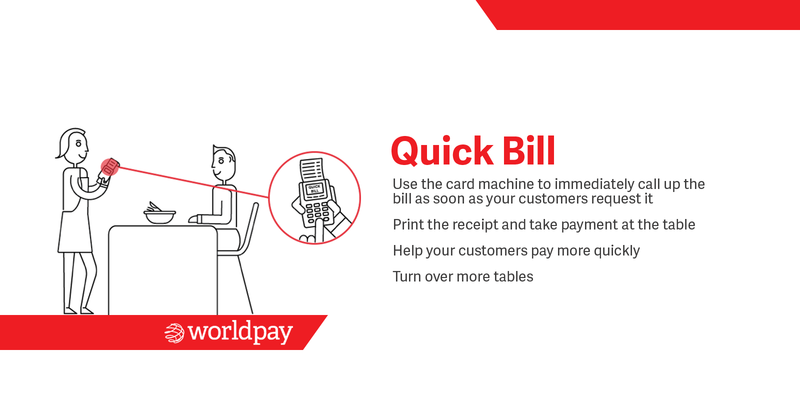 Worldpay launched a payments solution for the hospitality industry designed around the needs of the fast-paced food and drink industry. 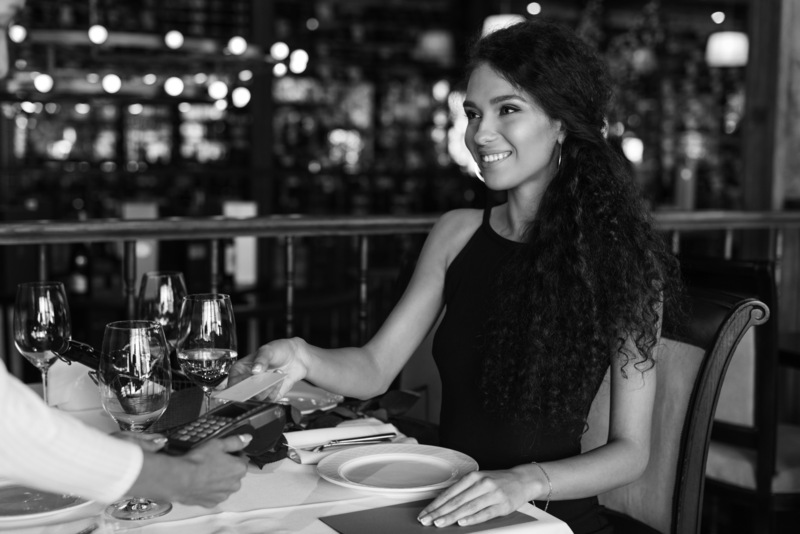 Worldpay Total Hospitality enables restaurants, cafés, bars and pubs to streamline service whilst delivering an outstanding customer experience. The complete payments solution has been created with the customer in mind, with a range of innovative features taking the stress out of setting up a tab, calculating the tip and splitting the bill. Recent research by Worldpay* has identified waiting for the bill as one of the biggest pain points for time-strapped diners, with one fifth of consumers regularly frustrated at how long it takes. Delays in receiving the card machine, as the server goes back and forth from the till increases this annoyance for 15 percent of diners – this rises to 25 percent for 21-34 year olds indicating that this obstacle will only increase in the future. It’s not surprising therefore that one in four consumers say the speed of service in restaurants is too slow. This is particularly true for younger generations who have grown up with the internet at their fingertips, with 30 percent of 16-34 year olds calling this out as an issue with the existing dining experience. In fact, only six percent of consumers find that service meets their expectations of being quick and efficient. Rather than deter operators, this insight shows that there is real opportunity to capture a greater share of the market and win over loyal consumers by differentiating through a more customer centric service. Worldpay Total Hospitality addresses the growing need for a more frictionless service in the restaurant industry. The smart “pay at table” technology enables staff to call up the bill as soon as it is requested, print it straight away via the card machine, and take payment at the same time, eliminating the back and forth between table and till. The fully integrated solution connects and consolidates payments across all channels, whether customers are paying at the counter, at the table or via a mobile app. What’s more seamless synchronisation between the electronic point-of-sale and payment devices removes the need for manual entry of transaction amounts. All this adds up to improved server productivity and increased operational efficiency, helping hospitality businesses to serve more covers during peak times. Providing a holistic view of all transactions and trends, Worldpay Total Hospitality is also fully integrated with Your Marketplace, Worldpay’s intelligent payments analytics tool giving operators a complete overview of sales performance. With a wealth of payment data at their fingertips, hospitality businesses have access to the insights they need to make better business decisions and transform everyday operations. Worldpay are working with a number valued partners including Cunninghams EPOS Group, Tevalis Ltd and Posera Europe Ltd. with its Point-of-Sale solution Maitre’D™ to deliver Worldpay Total Hospitality. Denver-based Bad Daddy’s Burger Bar recently hosted its inaugural #MyBaddestBurger Contest to find the best burger in town. On Tuesday, May 1, the delectable winner is joining the badass burger lineup at all 12 Colorado Bad Daddy’s restaurants. Created by Terrell Warren from Centennial, CO., The Dirty Bird is made with buttermilk fried chicken breast, Applewood-smoked bacon, Monterey Jack cheese, pepper jack cheese, fried egg and house made poblano mayo, on Texas Toast. This award-winning creation will be available throughout the entire month of May – National Burger Month. 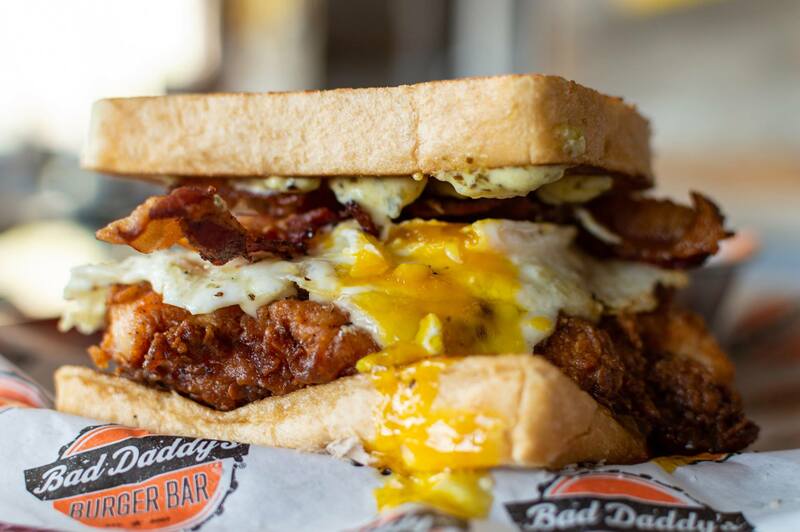 Bad Daddy’s currently has 28 locations throughout Colorado, Georgia, North Carolina, South Carolina, Oklahoma, and Tennessee. Cash&Carry Smart Foodservice is rebranding to Smart Foodservice Warehouse Stores. The change from Cash&Carry Smart Foodservice to Smart Foodservice Warehouse Stores reflects more than sixty years of evolution in the foodservice industry. Focusing on the Smart Foodservice name allows the retailer to better communicate its mission of selling quality ingredients and restaurant supplies in a simple, convenient warehouse format—providing customers exceptional service and a dependable source of supply. Since 1955, Smart Foodservice has been providing a convenient and economical solution, selling foodservice supplies to businesses, non-profit organizations and households. With smaller and more convenient locations, the retailer has been able to reach more customers and expand into new markets and states becoming one of the premier store-based foodservice suppliers. Smart Foodservice will continue to utilize the day-to-day business model and add warehouse stores across its markets. This approach will not only better emphasize the go-to market strategy, but will also offer restaurants and businesses the same competitive advantage that is available to some of the largest foodservice operators. “The updated name better reflects our mission and provides a much clearer message to current and future customers about the products and services we offer. This new name is a much more accurate reflection of who we are and what we do,” said Derek Jones, President, Smart Foodservice Warehouse Stores and Executive Vice President, Smart & Final. Headquartered near Portland, Oregon, Smart Foodservice is a subsidiary of Smart & Final Stores, Inc. and has operated throughout the Northwest for more than 60 years. The division currently has 63 wholesale stores located in Washington, Oregon, California, Idaho, Montana, Nevada and Utah catering to the foodservice industry. 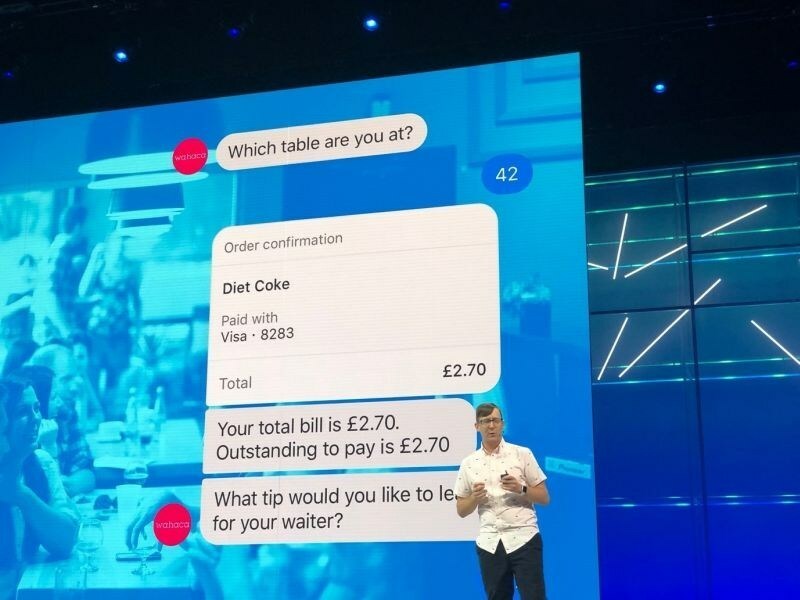 UK tech company Flyt’s Pay at Table solution is now available on Facebook Messenger, allowing consumers to pay through Messenger apps and web. This marks the first time this type of payment service will be available via Facebook, and is the first payment enabled chatbot experience on Messenger in Europe, and amongst the first globally, and is available to be embedded within existing branded Facebook Pages and as an extension to existing branded websites. The new technology has been piloted successfully in the UK at Wahaca’s Charlotte Street location using the APIs for payment available on the Flyt platform, and saw a peak of 14.5% of site transactions taken via Messenger in the first weeks of use. Flyt have also confirmed the first two brands to deploy the technology across their estates will be Harvester and Toby Carvery from the Mitchell’s and Butlers group, also featured at the Facebook event. This latest innovation means customers can pay the bill in under a minute without downloading a new app – saving an average wait time of eight minutes per table. 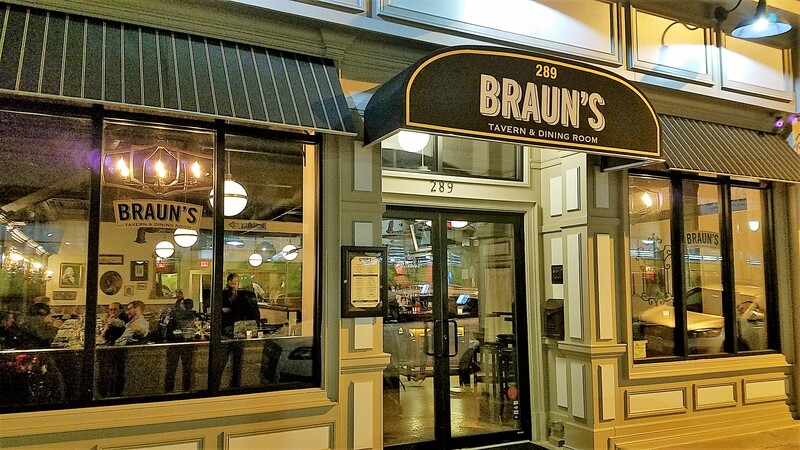 Chef/Owner Michael Fiorianti launched his new endeavor, Braun’s Tavern & Dining Room in New Jersey’s Bloomfield Center, top photo. The modern-day, chef driven, casual neighborhood spot continues his novel approach to cuisine, his accessible, creative dishes use locally sourced, farm fresh ingredients. With a respect for the location’s history, Braun’s utilizes many original details of the space, that Chef Fiorianti unearthed when he took over the space, including the beautiful bar that runs the full length of the restaurant, the vintage refrigerator, tin ceilings and molding. He enhanced these elements by adding personalized touches with antique artwork, lighting and mirrors to create a warm, welcoming neighborhood dining room.The emphasis is on house-made at Braun’s where cheese and pastas are handcrafted, meats are masterfully prepared, and accompaniments are flavorful and freshly made. Guest are welcome to order food for pick-up and shortly after opening for delivery via UBER Eats. The beverage program features signature cocktails, a well-rounded wine list, up to 30 different craft beers on draught and by bottle. Braun’s will also feature local spirts from Silk City Distillers and an impressive selection of 36 American bourbons and whiskeys with regular featured specials. 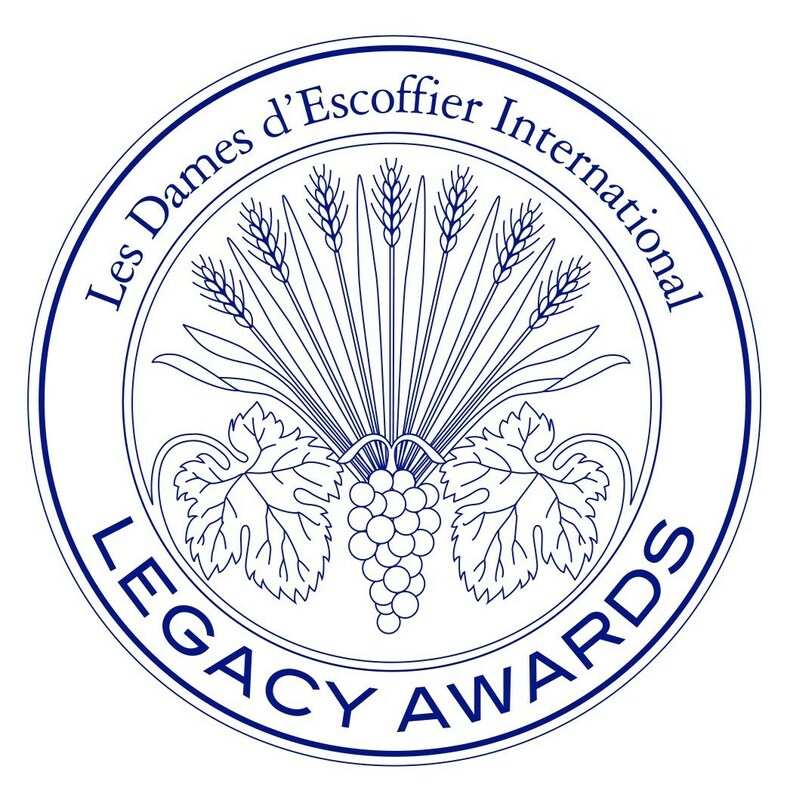 Les Dames d’Escoffier (LDEI) announced this year’s six winners of The Legacy Awards, one of the organization’s most important philanthropic initiatives, which is supported by the Julia Child Foundation for Gastronomy and the Culinary Arts. Judged from a field of eighty-six qualified applicants, these six emerged as the women in food, beverage, and hospitality who most exemplified LDEI’s tradition of excellence, career advancement and local community support. Only women who are not members of the organization with a minimum of four years of professional experience are eligible for these highly coveted mentorship awards. Helen Vass, from Glasgow, is the pastry chef-owner of Dulce, Scotland’s first pop-up dessert restaurant. After winning BBC’s Professional Patisserie Bake-Off in 2016, Helen has gone on to win four more esteemed culinary competitions while teaching, lecturing, consulting, and baking. Katrina Jazayeri of Somerville, MA was named one of Zagat’s “30 Under 30” in 2014. Katrina then co-founded Juliet in Boston, which not only ranked among Bon Appétit’s 2016 “50 Best New Restaurants in America” but also remains as Boston’s only tip-free restaurant paying a living wage to all employees. Sarah Pierre owns and manages 3 Parks Wine Shop in Atlanta, GA. Her background includes restaurant management, event planning, marketing, and bartending in Manhattan and Atlanta where she worked under Bacchanalia’s Chef Anne Quatrano, the Queen of Atlanta’s food scene. Sarah holds the Certified Specialist of Wine Certification, as well as Level 1 Sommelier Certification.